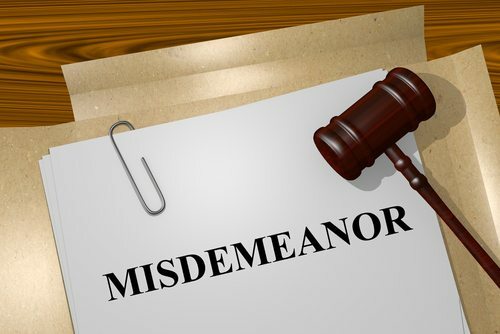 Many people charged with a misdemeanor crime in California make the mistake of assuming that the punishments will be negligible. Additionally, there are many crimes in the State of California that are considered “wobbler crimes,” which can be charged as either a misdemeanor or a felony based on the severity of the crime and the circumstances surrounding it. Over-aggressive prosecutors will often elevate a misdemeanor charge to a felony with little to no notice to you. The consequences of this action can be devastating. Only an experienced, knowledgeable defense attorney will be able to anticipate this kind of move and protect you against it. Hiring an attorney for your misdemeanor charge is essential. In most cases, I will appear on your behalf in court without you having to take time out of your day and without missing work. I will work hard to increase the chances that the charges against you will be dismissed or reduced, so you can continue living your life and enjoying your freedoms and rights as a California citizen. You can’t afford to go to jail or carry around a permanent criminal record. You need someone who will fight aggressively on your behalf, and who will give you the legal edge you need to obtain the best possible outcome in your case.